Free to use with attribution CC BYCredit: Mol. Biophysics, Oxford Univ. 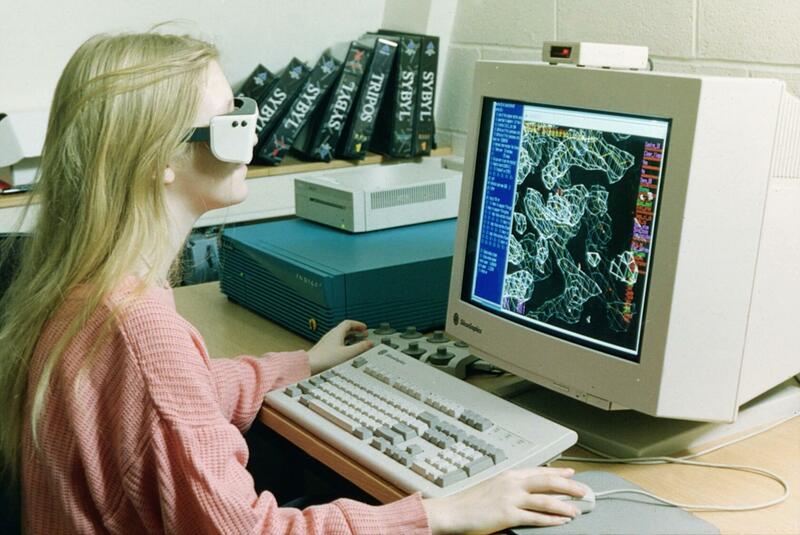 Researcher using computer to prepare stereoscopic (3-D) models of proteins. Use of special glasses to view 3-D images.